Departure from a central location in Madrid at 8.30 a.m. to La Mancha, the land of Don Quixote. Transport to Córdoba by way of the natural pass of Despeñaperros. Visit the impressive Mosque/Cathedral and stroll through the narrow streets of the Jewish quarter. In the afternoon, the trip continues to Sevilla. Arrival, dinner, and accommodation at the hotel. Breakfast at the hotel and route through the White Towns of Andalucía heading towards Ronda. Free time to admire this city of Celtic origin with marvellous views of the valley and mountain. In the afternoon, a journey to the modern and exceptional international tourist destination of Costa del Sol. Dinner and accommodation at the hotel. Breakfast at the hotel. Departure to Granada and its incredible collection of monuments, the last bastion of Granada’s Nasrid Dynasty until 1492. 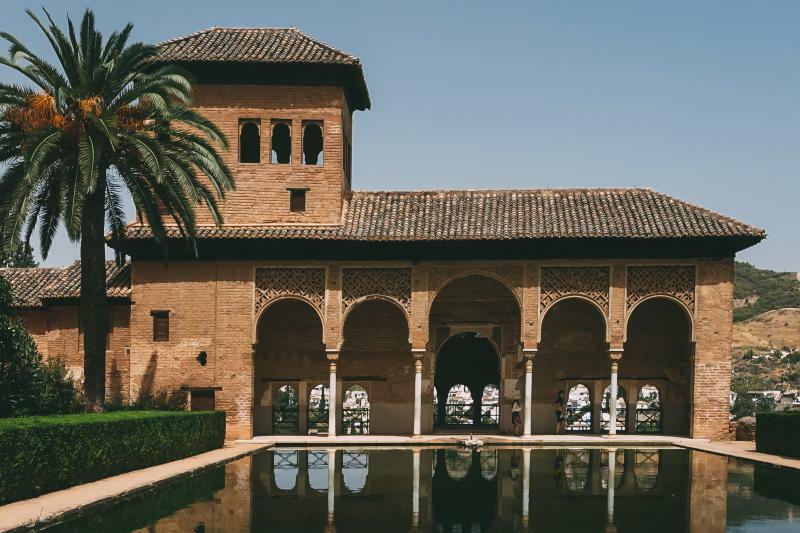 Visit the famous Alhambra complex and the Generalife Gardens. This is a setting which inspired authors such as W. Irving in his work Tales of the Alhambra. The remainder of the day free. Dinner and accommodation at the hotel. Optional Zambra flamenco show in the Sacromonte neighbourhood. Breakfast at the hotel. Departure to Toledo, the impressive imperial city surrounded by the Tajo River, declared a World Heritage Site and the cradle of Christian, Muslim and Jewish civilizations. A marvel of art, history and spirituality, this city is a national monument. A tour including its major monuments, its typical narrow streets and examples of the damascening technique (inlaying precious metals in steel). The trip continues to Madrid. End of service.